The coaching staff here at SWFL Basketball Academy prides itself on teaching the grassroots fundamentals of the game of basketball to players of all ages and ability levels. All camps are taught by our coaching staff and student-athletes. The mechanics, drills and fundamentals that are taught at our camps are used with our players. We are determined to provide the best possible learning experience for our campers. 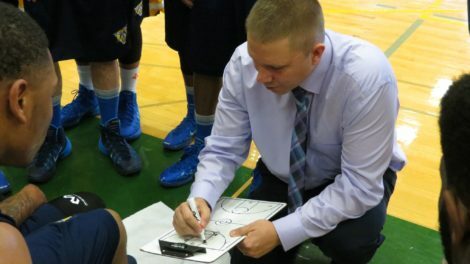 Coach Justin Anderson has ten years of college coaching experience at the NCAA Division II and NJCAA levels. He has a strong reputation of teaching fundamentals and has helped numerous players move on successfully to play at all levels. I want to help every young person who is willing to work to be a better player. Anyone who comes to this basketball camp and works will be a better player when he or she leaves.